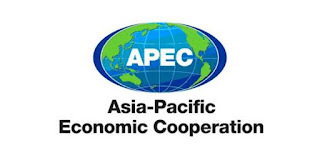 THE new multi-million kina Conventional Centre in Port Moresby is the venue of the Asia-Pacific Economic Cooperation (Apec) Transportation Working Group this week. Transport Secretary Roy Mumu said it was one of the largest working groups in Apec, which usually had more than 300 delegates. “Discussions will cover all modes of transportation and are highly technical in nature,” he said. “It has four main groups – the Aviation Experts Group, Maritime Experts Group, Land Experts Groups and the Intermodal and Intelligent Transport System Experts Group. Under the main experts groups are seven sub-groups. Mumu said with increased participation and involvement by PNG in the Apec TPTWG meetings and processes over the last two years, “we now see the need to leverage PNG’s domestic transportation priorities with that of Apec”.